Photos coming: John Fejeran, Carl Quichocho Jr.
Danny Baza Blas is Chair of CHE'LU. Danny was elected Chair February 2019. Danny was raised on Guam until third grade at which time the Blas family moved to Chanute Air Force Base in Illinois. Danny lived in Central Illinois until high school graduation. Danny moved to Chicago from where he graduated with a B.A. from Columbia College Chicago in 1999. In 2002, Danny relocated to San Diego, where he earned his masters degree and teaching credential from National University. Danny is a history educator at San Diego School of Creative and Performing Arts, a 6-12 grade magnet public school for artists. Danny first served as CHE'LU's Chair from 2012 - 2017, which included the expansion of CCF to CSU-San Marcos. Jo Ann (JoJo) Borja is Chief Financial Officer and Board Member since 2007. JoJo brings her experience in the financial industry with credit unions and her exceptional organizational skills to manage the fiduciary responsibilities of our non-profit organization. Her attention to details with persistence for accountability has assured our organization’s excellent financial order. Her fluency in our native language and her active promotion for our Chamorro identity through dance and music are infectious in the cultural embrace within our community. She brings the spark to the beat of the music and our social events. Her personal credibility and energetic welcome mobilizes her social network in support of cultural projects such as the Sakman Chamorro Project. 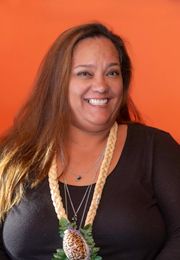 As an active representative of the VOCAL community group at Jacobs Center for Neighborhood Innovation, she has brought awareness to the needs of our own Chamorro community here in San Diego. Cessa Naputi - is Vice Chairperson. Cessa is a CHE’LU Board member since February 2012 with a second term confirmed in 2015. She has a management and financial background as well as experience in applying for Grants that will be beneficial to the CHE'LU organization. Cessa is proud to be Chamorro and is determined in taking an active role with CHE’LU to retain our culture and to keep our native language alive for future generations.Cessa attributes her fluency in the Chamorro language to her Grandmother and her great aunts who played a major role in her childhood on Guam. 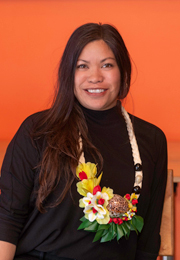 Alanna Pangelinan is a Board of Director since 2012 with a second term confirmed in 2015. Her strong background in Human Resources will help to develop a group-oriented culture that emphasizes quality, continuous improvement and high performance within the organization. Alanna was born and raised in Guam and resided there before moving to San Diego in 1999. Alanna attributes her fluency in the Chamorro language to her grandmother and her roots in Rota and is dedicated to using that skill to help promote our language, culture and heritage through CHE'LU. Susan M. Castro-Cabrera joined the CHE'LU board October 2016 with a second term confirmed in 2019. Susan was born and raised in Rota until her family moved to Guam in 1977. Sue moved to California in 2002. Her husband is from Saipan. She has a BBA from the University of San Diego, with emphasis in Management. In Saipan, she was the Accounting Branch Manager for the Northern Mariana Islands Retirement Fund. 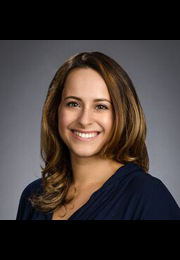 She is currently a Property Manager with Chamberlain Property Management and is owner of Isla Delites. Susan is pretty much involved in the Chamorro community, by practicing & embracing and fostering & perpetuating our language and culture, and in assisting & advocating in the health and welfare of our people. She is a board member of the CNMI San Diego Club, the Cal Islanders Humanitarian Association (CIHA) and the Uno Hit Dance Group. She is also a member of the Chamorro Optimist Club of San Diego and the House of Chamorros. 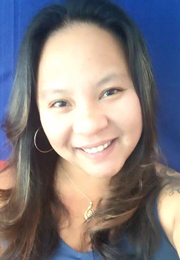 With her active involvement in the Chamorro community, as well as her personal experience in raising and educating her kids about the language, culture, and history, Susan hopes to bring positive, proactive, and vibrant input as a CHE’LU Board Member. Olivia Quintanilla joined the CHE'LU board October 2016. Olivia’s grandparents, Olivia and Gregorio Quintanilla, were raised in Hagåtña, Guam and migrated to San Diego for her grandpa’s job with the U.S. Navy. Born and raised in San Diego, Olivia is now a 4th year PhD student in the department of Ethnic Studies at UC San Diego where she studies Pacific Island environmental justice, coral reefs, and the militarization of islands. 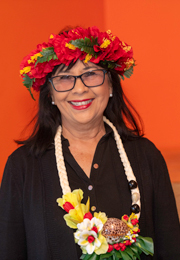 In the spirit of embracing and connecting with her Chamorro culture, she began volunteering with the Sons and Daughters of Guam Club and CHE’LU to empower youth to embrace their island history, culture, and language. She also works with the County of San Diego’s Homeless Unit to support homeless individuals and families, and is completing an internship with the San Diego Community College District. She enjoys creating positive change through education, hiking, cooking Chamorro food, making crafts, and spending time with friends and family. Ju’ne Sablan-Hawkins is a Board of Director rejoined the CHE'LU board January 2019. Prior to becoming member of the board, Ju'ne completed two terms as a Director 2011-2017, and was a perpetual CHE'LU volunteer for many years. Ju’ne resided in the village of Sinajana before moving to Gulf-port, Mississippi; Washington, D.C. and then San Diego. Ju'ne graduated from George Washington High School and continued her education studying Business Administration at the International Trade Center (ITC) Tamuning, Guam, an Ambassador for Duncan Enterprise (ceramist). Ju’ne held Superior Outstanding awards for two consecutive years while employed at MWR Campspring, Maryland Andrews Air Force Base. Ju'ne studied Human Resources/Behavioral and trained in El Toro, CA before becoming and LTJG Training Officer for the Naval Sea Cadet Corp (Fort Fisher Division, 32nd Naval Station-San Diego, CA). Ju’ne is a proud mother of four boys and a girl, who are all adults. 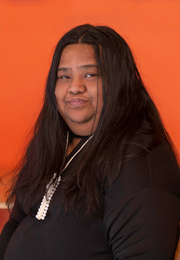 Ju'ne is the founder for the Inetnon Chamorro at Jacobs Center. Ju’ne’s pride and joy is seeing all her Chamorros gathering in one place, talking, dancing, laughing and having a good time just like back home. Through CHE’LU, Ju'ne will ensure the mission to perpetuate the culture and heritage of the Chamorro people. 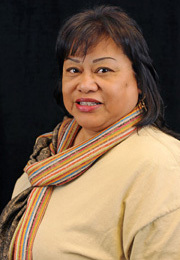 Brienda Diaz joined the CHE'LU board in January 2013 with a second term confirmed in 2016. 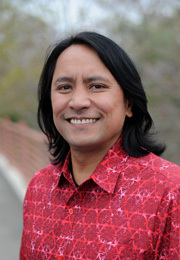 Josh Borja joined the CHE'LU board in January 2013 with a second term confirmed in 2016. Josh Borja was raised in the beautiful village of Santa Rita, Guam. He joined the US Navy in 1997 right after graduating high school to serve his country. He was stationed in San Diego in 1999 and has always been active in the local Chamorro Community. From Fiestas to BBQs, Josh is happy to help in any way he can to promote and nurture the Chamorro culture. He received a BS Business Admin in 2006, while being an entreprenuer owning iSao7 Apparel and Friday Boyz DJ Company. He also started the GuamLiberation.com Picnic that was held at Admiral Baker for 10 years before moving to The Sons and Daughters of Guam Club in 2015. Josh is very active in the Chamorro Community and part of many organizations in San Diego such as CHE’LU, House of Chamorros and currently the President of the Sons and Daughters of Guam Club. 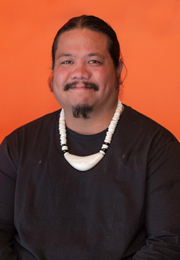 His goal is to first grow the Chamorro Culture in San Diego through Respect, Unity and Hospitality. By default, this will spread nationwide. Shirley Quichocho joined the CHELU board on October 2017. Born and raised in Guam and married to Carlos S Quichocho, they retired in Oceanside, California in 1997 with their three children (Shirlene, Carlos and Carlsky). 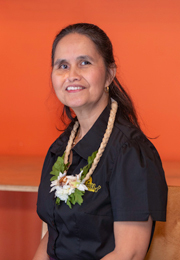 Shirley graduated from National University in 1997 with a MS in Telecommunications Management and is part-owner of the family Chamorro restaurant Guahan Grill. Shirley and Carlos are also founders of the Chamorro Language Cultural Center which launched its first language teaching in Oceanside in 2018. Both Carlos and Shirley volunteered with the CCF project since 2011 and emphasize the promotion of Chamorro entrepreneurs. Shirley will focus on the preservation of language and culture of the Chamorro people. Diane Borja joined the CHE'LU board January 2019. Diane has been an annual volunteer at CCF since its inception in 2010. Diane’s family originated from Santa Rita (Guam) then relocated to Agafa Gumas where she was raised until high school. Diane joined the Air Force in 2002 and settled in San Diego, CA in 2007. Diane holds an Associate of Science degree in Criminal Justice and a Certificate of Completion from the Guam Criminal Justice Academy. Diane also serves on the Board of Directors, Assistant Treasurer of GuamLiberation.com, which is dedicated to providing and promoting education of Guam's culture. What started as a BBQ with family and friends, GuamLiberation.com grew to become an eagerly awaited event. With over 1500 attendees, GuamLiberation.com moved to the Sons and Daughters of Guam Club in 2015. 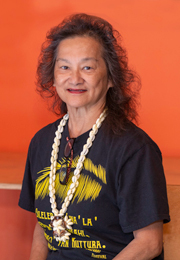 Diane is active in the Chamorro community and hopes to see the children continue to learn the Chamorro culture. 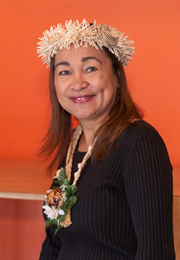 Diane’s goal is to innovate and create new methods to keep the Chamorro culture alive for future generations, most especially for stateside islanders. Mario Reyes Borja was born in Chalan Kanoa, Saipan, but grew up in Guam. The son of a carpenter and a fisherman, Mario graduated from FDMS in 1967. Later earned his B.S. in Aerospace Engineering from the University of Texas at Austin, and completed his M.S. from the Air Force Institute of Technology, with post graduate work at San Diego State. 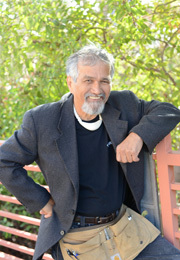 Mario is an active member of the San Diego Chamorro community both as a culturalist and a linguist.